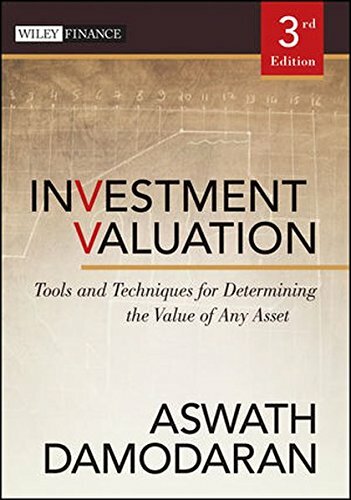 The definitive source of information on all topics related to investment valuation tools and techniques Valuation is at the heart of any investment decision, whether that decision is buy, sell or hold. But the pricing of many assets has become a more complex task in modern markets, especially after the recent financial crisis. 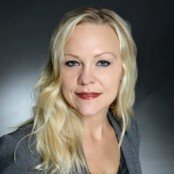 In order to be successful at this endeavor, you must have a firm understanding of the proper valuation techniques. 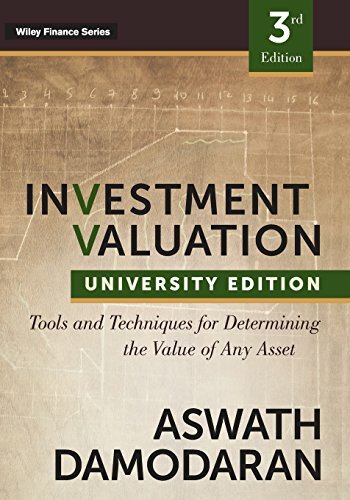 One valuation book stands out as withstanding the test of time among students of financial markets and investors, Aswath Damodaran’s Investment Valuation . Now completely revised and updated to reflect changing market conditions, this third edition comprehensively introduces students and investment professionals to the range of valuation models available and how to chose the right model for any given asset valuation scenario. This edition includes valuation techniques for a whole host of real options, start-up firms, unconventional assets, distressed companies and private equity, and real estate. All examples have been updated and new material has been added. An expansion of ancillaries include updated online databases, spreadsheets, and other educational support tools Fully revised to incorporate valuation lessons learned from the last five years, from the market crisis and emerging markets to new types of equity investments Revised examples of company valuations such as companies from Eastern Europe and Africa, which stress the global nature of modern valuation Author Aswath Damodaran is regarded as one of the best educators and thinkers on the topic of investment valuation This indispensable guide is a must read for students wishing to gain a better understanding of investment valuation and its methods. With it, you can take the insights and advice of a recognized authority on the valuation process and immediately put them to work for you.